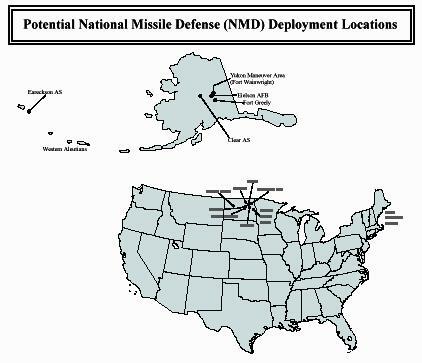 All elements of the NMD system would work together to respond to a ballistic missile directed against the United States. The Ground Based Inteceptor is the "weapon" of the NMD system. Its mission is to intercept incoming ballistic missile warheads outside the earth's atmosphere (exoatmospheric) and destroy them by force of the impact. During flight, the GBI is sent information from the NMD BMC2 through the IFICS to update the location of the incoming ballistic missile, enabling the GBI onboard sensor system to identify and home-in on the assigned target. The GBI element would include the interceptor and associated launch and support equipment, silos, facilities, and personnel. The GBI missile has two main components: an EKV and solid propellant boosters. Each GBI site would be adequate in size to initially accommodate 20 interceptor missiles, with expansion possible to as many as 100 interceptors. The GBI would be a dormant missile that would remain in the underground launch silo until launch. Launches would occur only in defense of the United States from a ballistic missile attack. There would be no flight testing of the missiles at the NMD deployment site. The NMD In-Flight Interceptor Communications System (IFICS) is a subelement of the BMC3 element and would be geographically distributed ground stations that provide communications links to the GBI for in-flight target and status information between the GBI and the BMC2. Up to 14 IFICS (7 pairs) would be required to support the NMD system. The IFICS would consist of a radio transmitter/receiver enclosed in a 5.8-meter (19-foot) diameter inflatable radome adjacent to the equipment shelters. The IFICS site would require no permanent onsite support personnel. Personnel would only be required when the IFICS needs maintenance. The X-band / Ground Based Radars (XBR) would be ground based, multi-function radars. 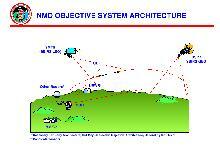 For NMD, they would perform tracking, discrimination, and kill assessments of incoming ballistic missiles. The radars use high frequency and advanced radar signal processing technology to improve target resolution, which permits the radar to more accurately discriminate between closely-spaced objects. The radar would provide data from earlier phases of a ballistic missiles trajectory and real-time continuous tracking data to the BMC2. The site would include a radar mounted on its pedestal and associated control and maintenance facility,a power generation facility, and a 150-meter (492-foot) controlled area. The radar would be radiating during a ballistic missile threat, testing, exercises, training, or when supporting collateral missions such as tracking space debris or a Space Shuttle mission. The Upgraded Early Warning Radar (UEWR) are phased-array surveillance radars used to detect and track ballistic missiles targeted at the United States. Software upgrades to these existing early warning radars would provide the capability to support NMD surveillance requirements. Existing Defense Support Program satellites provide the U.S. early-warning satellite capability. The satellites are comparatively simple, inertially fixed, geosynchronous earth orbit satellites with an unalterable scan pattern. Space Based Infrared System would replace the Defense Support Program satellites sometime in the next decade. NMD would use whichever system is in place when a deployment decision is made and can use a combination of the two if the transition is still in progress. 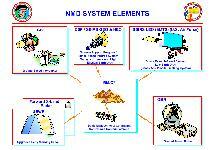 SBIRS would be an element that future NMD systems would utilize. SBIRS is currently being developed by the Air Force independently of NMD as part of the early warning satellite systemupgrade which would replace the Defense Support Program satellites. 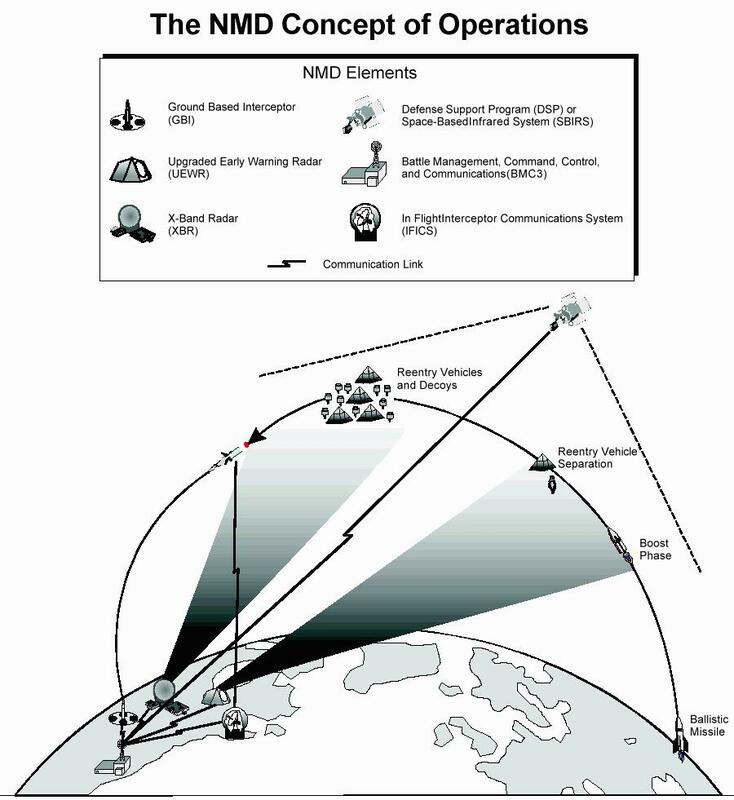 For the NMD program, the SBIRS constellation of sensor satellites would acquire and track ballistic missiles throughout their trajectory. This information would provide the earliest possible trajectory estimate to the BMC2 subelement.